Gold- The color gold is the one color that binds all services together. It represents our solidarity and dedication to the brotherhood. It also displays The Club’s dedication to support the families of those who lost their life in combat (gold star families). 5 stars- represent the five branches of the military- Army, Air Force, Navy, Marines, Coast Guard. Eagle- The eagle and shield was accepted as the seal of the United States by Congress in 1782. 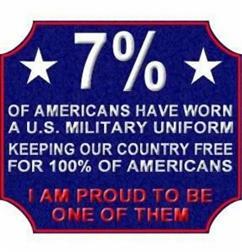 It represents the freedoms that the military fights to preserve. The US Veterans MC was founded in 2007 in New York. It is comprised of members from all branches of Military Service. It was born on the principles of support and respect for all Veterans who served honorably, to promote the true meaning of Brotherhood to all members, and to support our active duty Military. Our Brotherhood has now expanded to several states across the country and is steadily growing. The Alabama State chapter was formed on June 10, 2012. 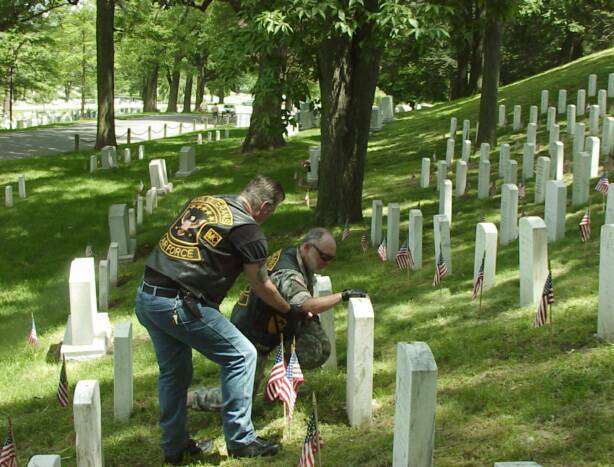 The founders of the chapter serve each other and all of our nations heroes, past and present.
" I know why men who have been to war yearn to reunite. Not to tell stories or look at old pictures. Not to laugh or weep. Comrades gather because they long to be with men who once acted at their best; men who suffered and sacrificed, who were stripped of their humanity. I did not pick these men. They were delivered by fate and the military. But I know them in a way I know of no other men. I have never given anyone such trust. They were willing to guard something more precious than my life. They would have carried my reputation, the memory of me. It was part of the bargain we all made, the reason we were all so willing to die for one another. As long as I have memory, I will think of them all, every day. I am sure when I leave this world, my last thoughts will be of my family and my comrades...such good men."